According to statistics compiled by the Insurance Institute for Highway Safety (IIHS), front-end impacts accounted for 54 percent of all passenger vehicle occupant deaths in 2016. Among single-vehicle crashes, the IIHS recorded 5,684 fatalities; in multi-vehicle collisions, the IIHS recorded 7,063 fatalities. Scott Sumner and his legal team in Walnut Creek, CA know just how devastating head-on/front-end car accidents can be. We would like to go over common reasons why head-on auto accidents may occur, and how a layer can help you pursue a lawsuit against the party responsible for the crash. When driving down a two-lane highway, it is not uncommon for people to drive in the opposite lane in order to overtake a slower vehicle that is ahead of them. This can be a very risk and even deadly action, however. If you do not pay attention to traffic in the opposite lane, you may not notice another vehicle coming at you. At highway speeds, the results can be tragic. The flow of traffic is generally well-marked with signs and signals. Yet even with proper signs and warnings in place, people still drive the wrong way down suburban roads, city streets, and even highway on-ramps/off-ramps. When this happens, the risk of a serious crash is quite high. When you’re tried behind the wheel, you are not as attentive or careful as you would be if well rested. Some research suggests that driving while tired can have the same effect as driving while drunk. The risk off head-on crashes as well as other collisions is higher when a driver is not well rested. This tends to be a common danger among commercial truck drivers given their long shifts behind the wheel. Ridesharing drivers for Uber and Lyft may also experience these hazards. There are so many sources of distraction these days, especially given how essential smartphones, tablets, and other devices are for daily life. Yet texting while driving and using various electronic devices behind the wheel can be a major source of distraction that makes head-on crashes more likely. Other sources of distraction include eating while driving, rubbernecking, and grooming behind the wheel. Who Is Liable in a Head-On Collision? The liable party in a head-on crash is generally the person who acted in a reckless or negligent manner. This is usually the driver of another vehicle, though other parties may also be to blame. If the negligent driver has a history of accidents, the ridesharing company or trucking company that employs them may be partially liable. Additionally, if the local municipality had poor or inadequate signage regarding one-way traffic, the people who run the city or road authorities could be liable. 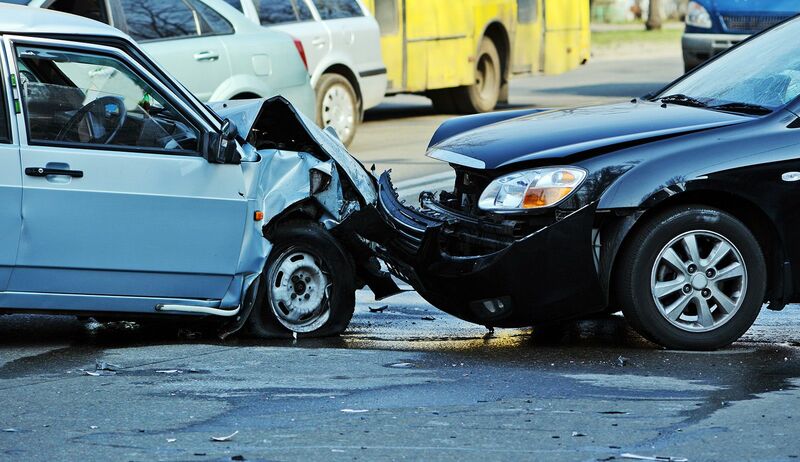 No matter the nature of a head-on crash, it’s imperative that you seek legal help from a skilled attorney. They can provide expert counsel on your legal options, and help determine the right course of action to hold others accountable. We are here to offer peace of mind as we seek damages on your behalf. To learn more about your legal options after a head-on crash, be sure to contact a catastrophic injury accident lawyer today. Our team is here to help you in your time of legal need. You can reach Sumner Law by phone at (925) 278-6170.